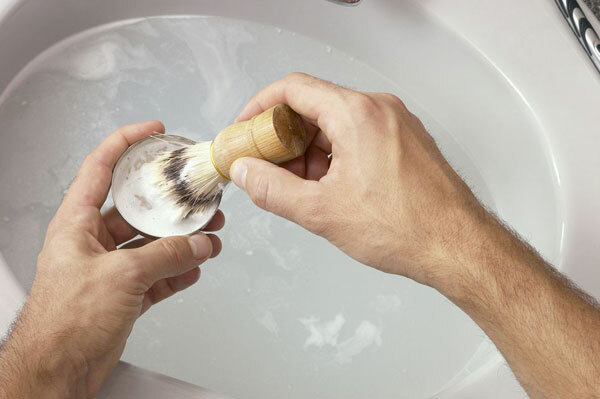 Recently, a gent I know with very sensitive skin switched from using an electric shaver to 'old fashioned' shaving. 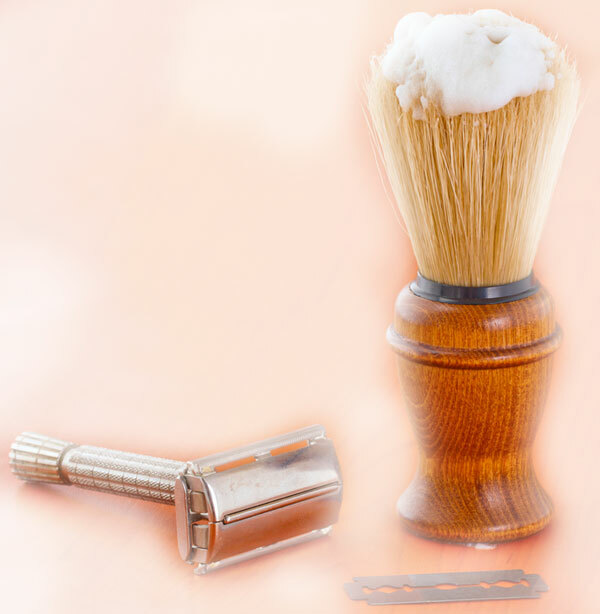 He showed me his new gear: the classic shaving brush, the shiny razor complete with fancy stand, and the newly acquired shaving cream in designer packaging. It was all very posh and elegant looking. He asked me to check the ingredients of the cream – just to see if there was anything his sensitive skin might react to. I nodded my approval as I made my way through the list. There were skin softening and moisturizing extras – all sensitive skin friendly. When I got to the preservatives, I couldn't help but notice that his shaving cream contained every paraben in the book – plus one. When I mentioned it, he just shrugged and asked if that was ok.
Well, let's shave and see, shall we? Classic Shaving Instructions: create an environment in which beasties and bacteria thrive optimally. Dip directly into the product with a wet brush. Swirl around to create lather. Slather lather on face. Obviously, the last thing you want to be covering your face with just before running a razor over it (or any other time) is a bacteria-riddled mixture. I've never made a shaving cream, but formulating one must be about as demanding as it gets when it comes to preservatives. Anything less than thoroughly tested rock solid bacteria-stopping reliability simply won't do because of the way the product is used. Of course, makers of excellent shaving creams already know this. And that's how I answered him.